On http://sites.udel.edu , you’ll see a grey bar across the top of the page. On the far left of this bar, click Log In. In partnership with InCommon Federation, UD provides access to various digital resources nationwide for current students, faculty and staff. 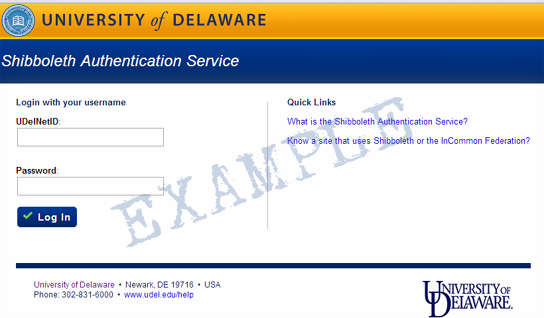 We use the Shibboleth consortium‘s software to log in securely to a remote location like Edublogs with your UDelNet ID and password. Provide your UDelNet ID (Username) and password. Then click Login. Review the information to be provided to the service and accept or reject the release of this information. 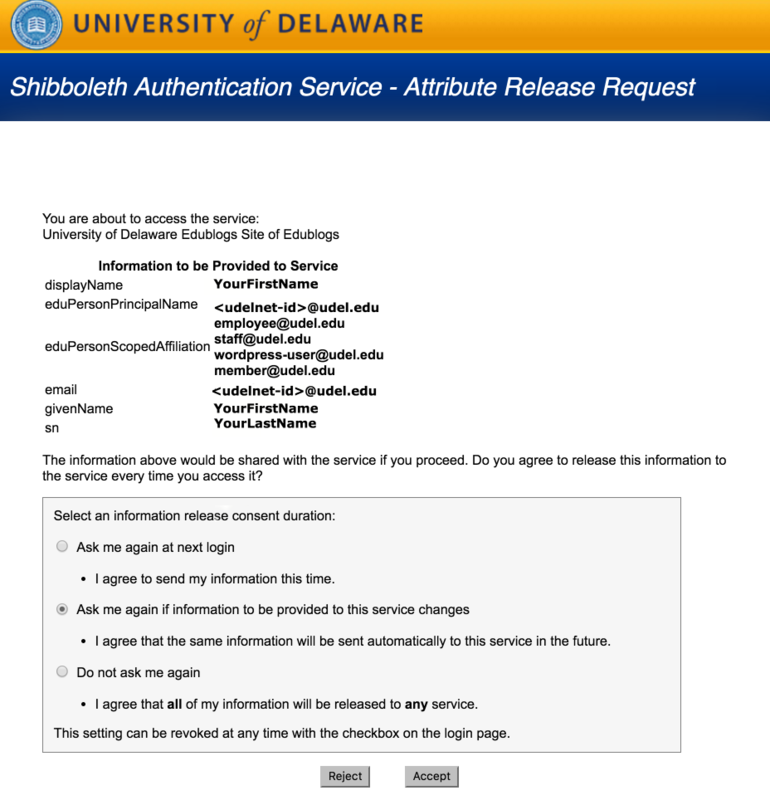 If this is the first time you’ve logged in to sites.udel.edu, a personal or test blog will be created for you. If you already have one or more WordPress sites on which you can work, select the site you are working on from the My Sites menu in the top navigation bar.